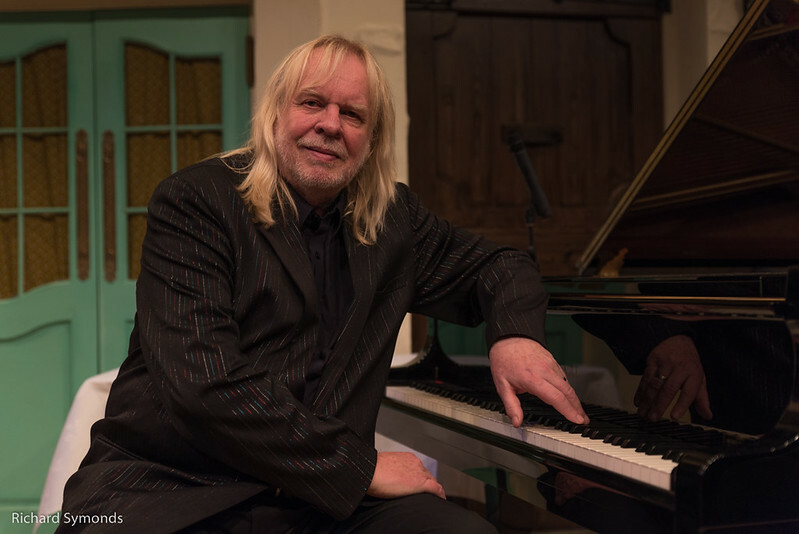 Legendary keyboard player for Yes and renowned raconteur Rick Wakeman has become an ambassador for Animals Asia. 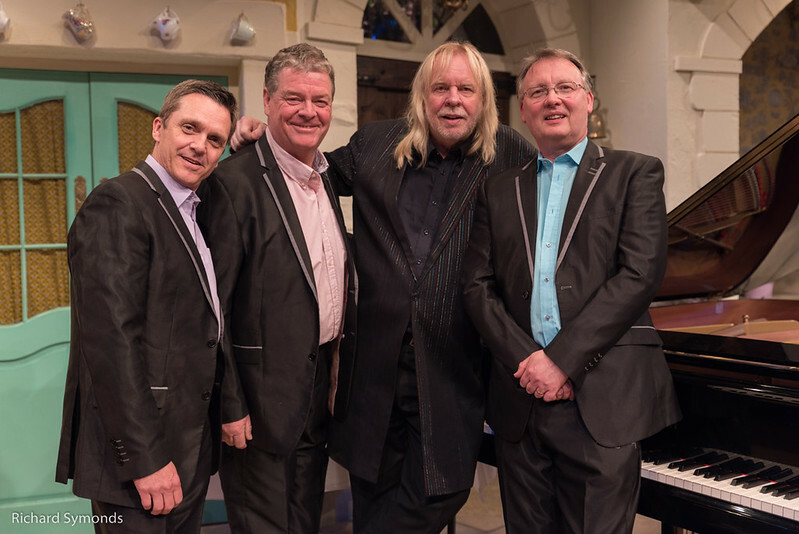 Having long been considered a member of the Animals Asia family, Rick Wakeman has accepted an ambassadorial position with the animal welfare charity. 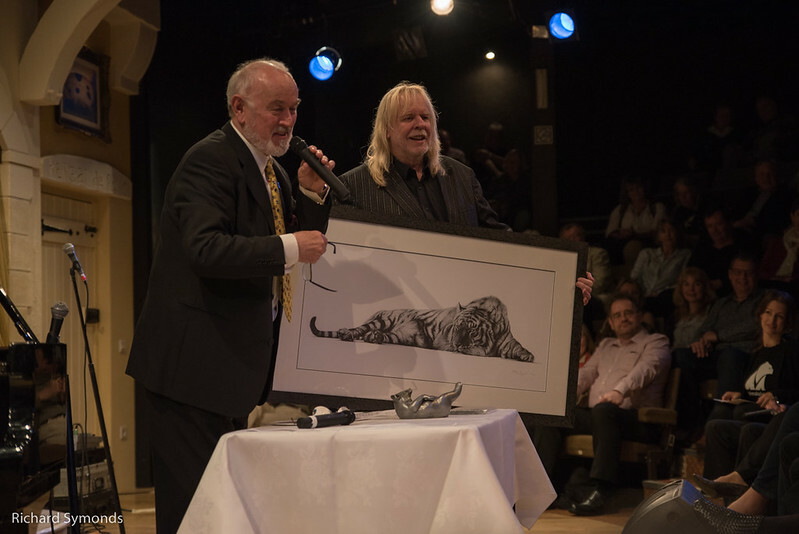 The position was confirmed in a presentation to him by fellow ambassador, actor Peter Egan following Rick’s performance at a fundraising event at Sonning Mill Theatre, Reading. 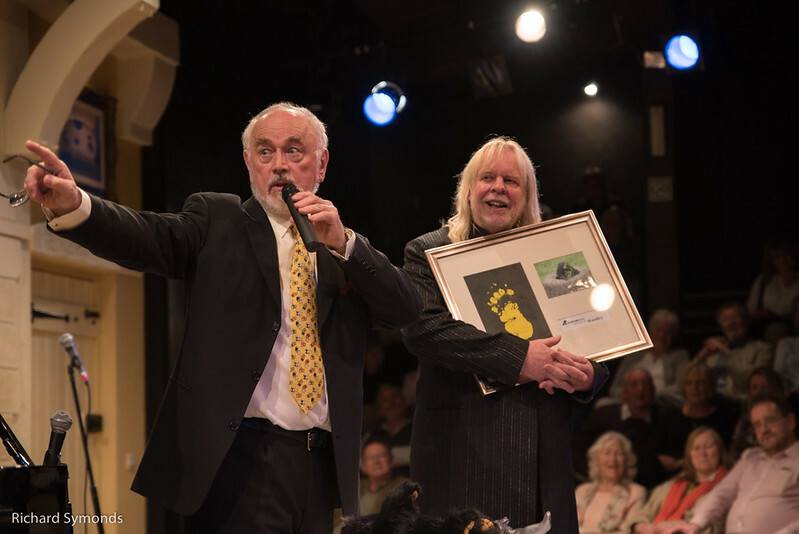 It was the third time the musician, presenter, author and actor had performed to raise much-needed funds and awareness for Animals Asia’s work. Rick has been a supporter since 2013 and is “dad” to moon bear Cyril who lives in Nanning, China in a temporary facility that has been converted from a farm by Animals Asia. “The bears – especially Cyril – and the entire Animals Asia family send Rick their gratitude and thanks for being their lifeline, their champion and their friend. 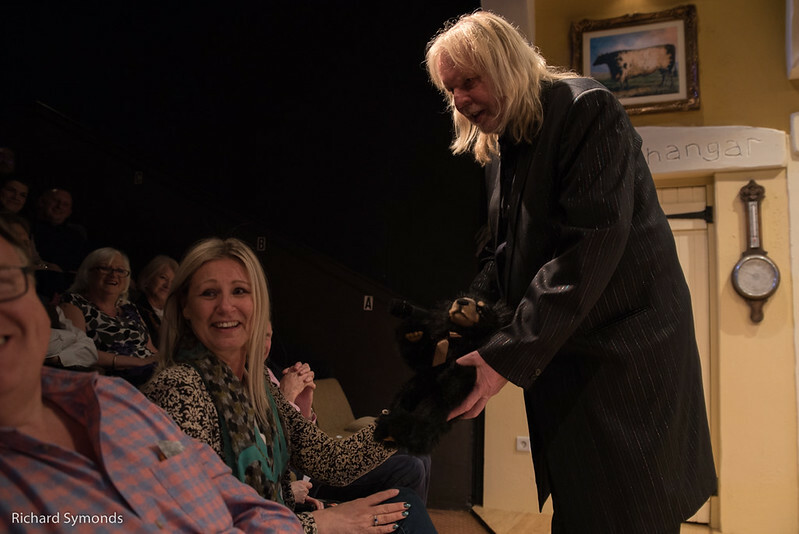 “Each year the challenge of raising funds and filling the bears’ tummies grows harder, but each year – somehow – we make it through, and this is in no small part to incredibly generous people like Rick who give us the courage and the support to continue. Animals Asia works in China and Vietnam to end bear bile farming, improve welfare standards at captive animal facilities and stop the cruel dog and cat meat trades. To date, the charity has rescued nearly 600 bears from bile farm cruelty in China and Vietnam, with around 400 continuing to live at their sanctuaries in China Vietnam. It is believed up to 11,000 bears remain trapped in bile farm cages in China and Vietnam, while approximately 15 million dogs are slaughtered for their meat across both countries. 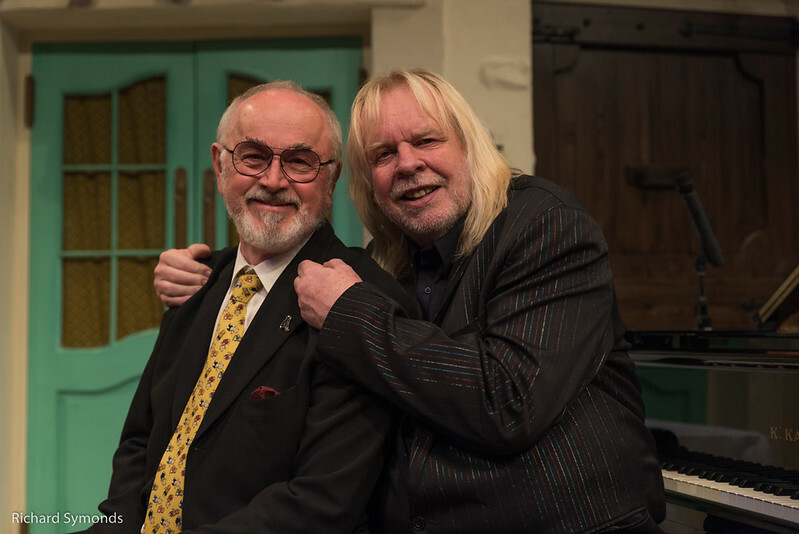 As well as Rick Wakeman and Peter Egan, Animals Asia’s ambassadors include drummer Matt Soren, actress Lesley Nicol, celebrity chef Simon Bryant, celebrity vet Dr. Katrina Warren, actress and animal rights activist Ali MacGraw, musician Peter Northcote and presenter Paul Martin.